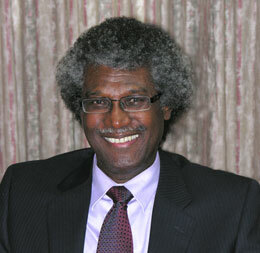 On behalf of the Government and People of Grenada, I extend condolences to Lady Lynda, the children, other family members and friends of Sir Dwight Venner, former Governor of the Eastern Caribbean Central Bank. Sir Dwight will always be remembered for his exemplary leadership of the Bank through some very challenging periods. Under his leadership, the Eastern Caribbean Central Bank became highly regarded around the world, as one of the foremost institutions of its type. He ensured that the EC dollar remained one of the most stable currencies. His astute leadership also helped guide the currency union through one of the worst international recessions of the modern era. Grenada joins our brothers and sisters in shared sorrow over his passing, but we stand in comfort and appreciation for his dedicated and sustained service, his grace and stature, and for his stellar contribution to the development of the Eastern Caribbean. May his family find comfort and strength during this difficult time and may the soul of Sir Dwight rest in perfect peace.